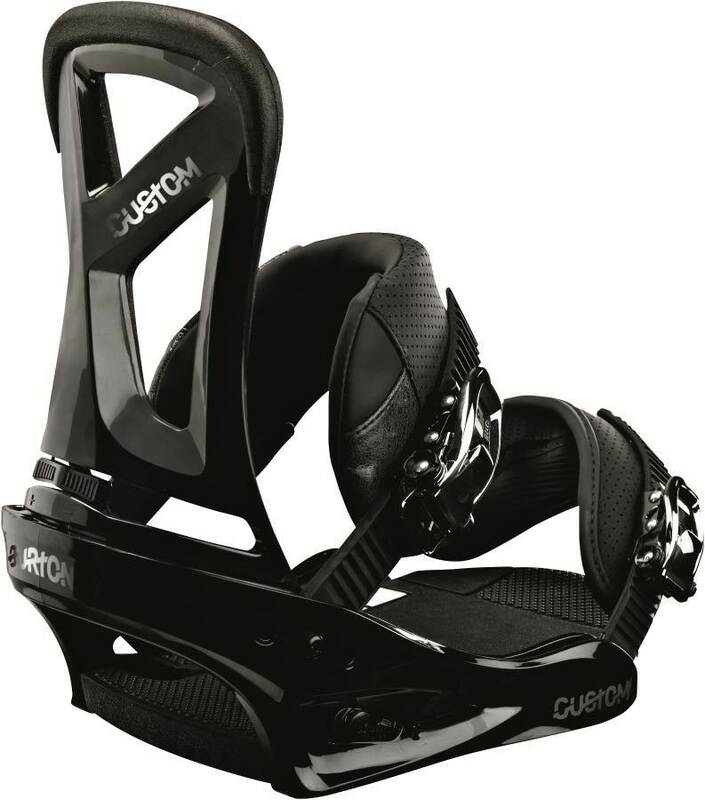 The Burton Custom Restricted Re:Flex is what the regular Burton Custom should be and we strongly recommend this over the 2013 Custom because it has Re:Flex tech and a better Ankle strap. 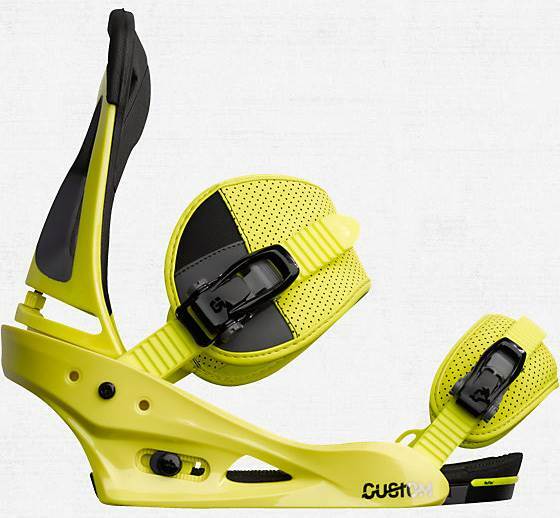 The Burton Custom Restricted Re:Flex binding is the best of all the Custom binding options. There is a larger ankle strap and it has Re:Flex tech which allows your board to flex better underfoot. It rides with any boards and has some of the higher end tech. 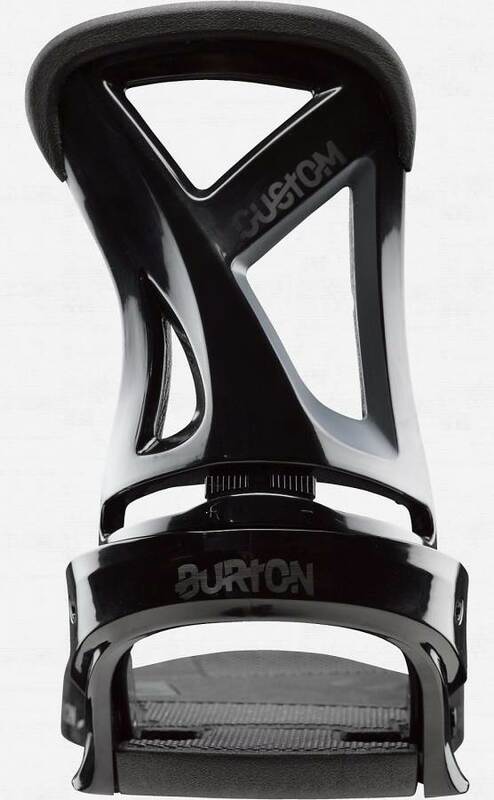 The Burton Custom Disc is a binding that now lives in the past. Regarding Re:Flex Tech: Re:Flex Tech really changes the way the board rides for the better but it has one minor issue that should be addressed. Most 4 hole Discs can be aligned tip to tail or heel to toe but the Re:Flex Disc can only be aligned heel to toe. This isn’t a big deal because most align heel to toe but some like to turn their discs sideways to reduce or increase their stance width to a size that the binding holes won’t allow. If you do this make sure your board has the stance width you desire. 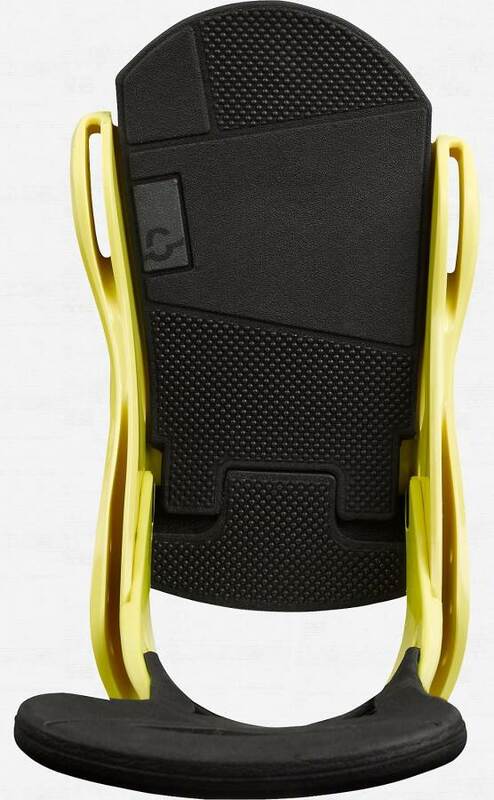 Flex: There is a mellow flex in the high back and the base plate seems a little more mellow than your average Burton base plate. 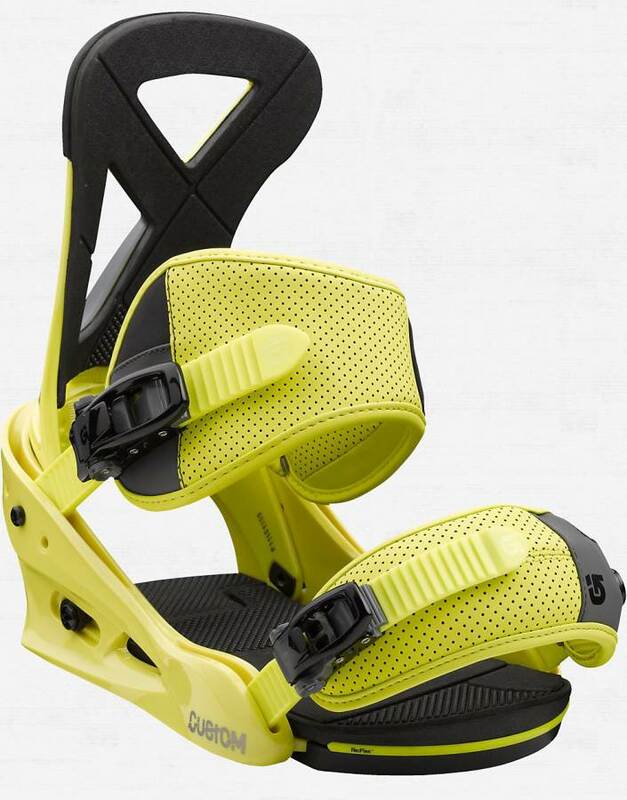 Adjustability: This is not a high-end binding but you can adjust this the same way as the other bindings. Comfort: It’s very comfortable for this price range and it gives a good feel. 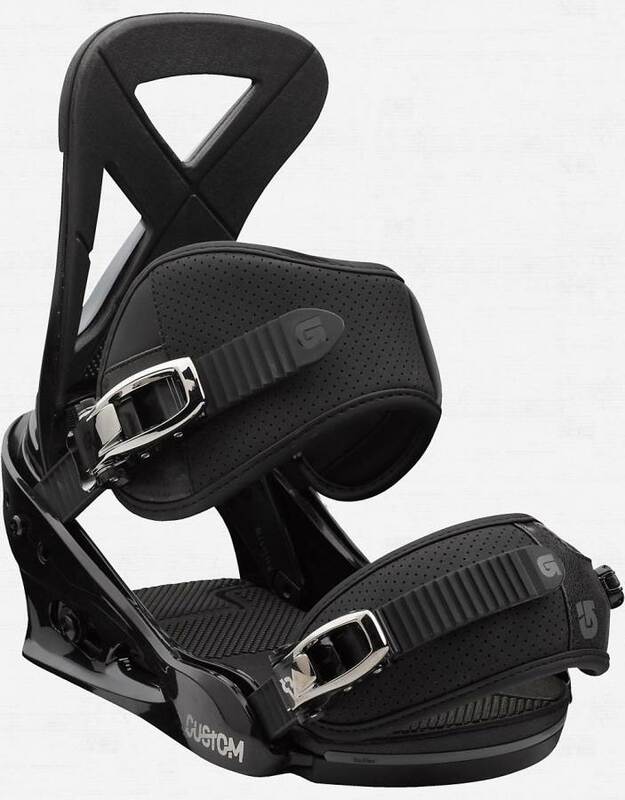 You have the same style toe and ankle strap as the higher end straps and it wraps around without causing pressure points for the vast majority of riders. Heel-Toe Response: There is a little advantage edge to edge with the Re:Flex tech but it still has a smooth ride similar to the disc. It’s best for an easy turning board but it can handle moderate or easy turning boards. 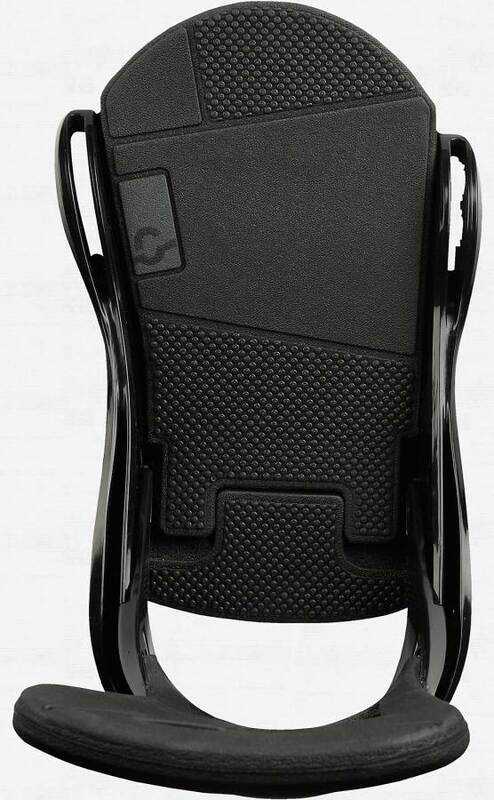 Tip-Tail Response: Re:Flex Tech offers a nice change to the bindings interaction with the board. It gives you a better flex underfoot that makes the board react easier to butters and just makes the board feel more lively all around. Boot Support: The ankle strap and toe strap are big influences as to how the boot is held in the binding. 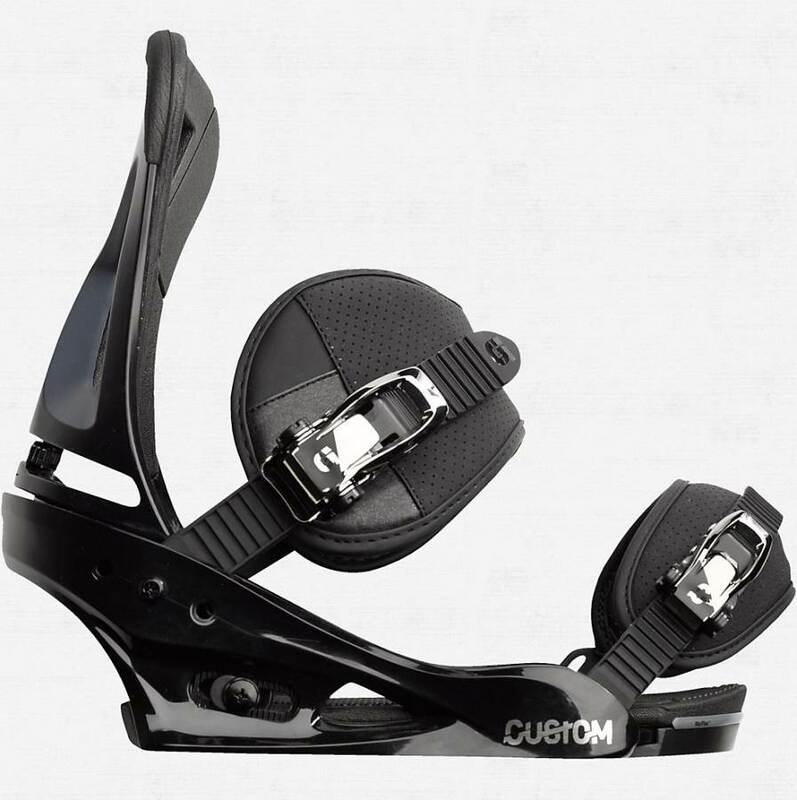 The toe strap pulls it in and the ankle strap holds it down into the very well designed heel cup/high back. Ratchet System: The ratchet system isn’t top notch but it’s really good for this price range. 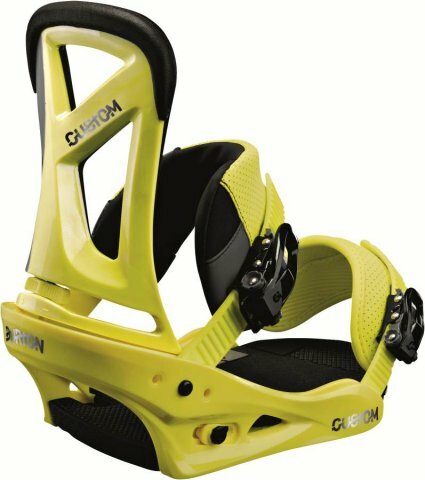 The ankle strap is very similar but the toe strap doesn’t have the same release lever as the mid to high-end bindings which we really like. Shock Absorption: Great shock absorption here. There is ample padding in the heel as well as the toe. It’s far superior to the Custom Disc model. In conclusion, the addition of Re:Flex really makes the binding work and keeps it modern. I’d pick this over an older disc model Cartel. 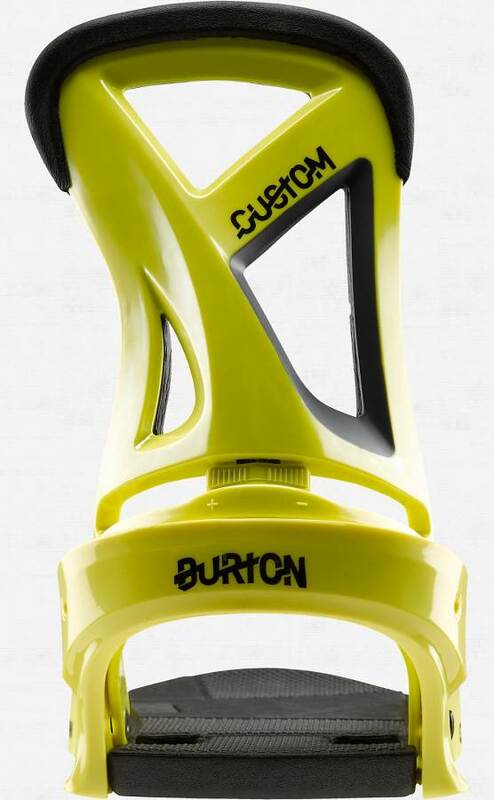 We try to get as many images of the Burton Custom Restricted Re Flex, but forgive us if they're not all there.